And then I hear the word “Yaya” (the greek word for Grandmother – Γιαγιά) and suddenly I feel my mind blowing away! It’s Greece!!! 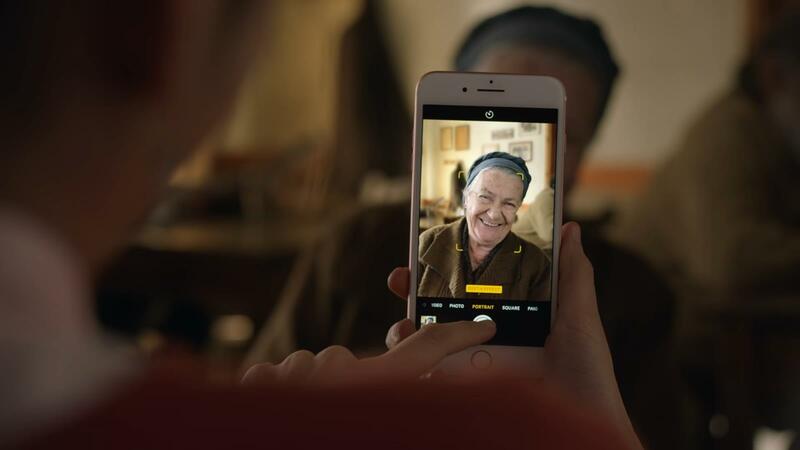 The reason of the commercial is to promote the great portrait feature of iPhone 7 Plus and the story goes like this… A young girl goes to Mani to visit her grandmother. The grandmother is wearing a kerchief and a brown jacket. In her facial wrinkles you can see her experiences engraved and in her smile, the most important lesson of life. It’s an original Greek grandmother, something coming out of a postcard! She is smiling for a photo. Something that was very difficult to be taken when she was young. And then the party begins. The whole village wants to have a shot asking the young girl «Take mine!». The fisherman, the barber, the shepherd, the mailman, and many more. Those people are carrying something that is so vibrant in Apple’s commercial and that is originality. Pure eyes and smile you don’t see a lot these days. It was aired during Golden Globes commercials and made me once again so proud to be Greek!